Find tourist attractions and things to do near Carl Link: Illustrative Portraits View Map. Entertainment for Children Merry Andrew Afoot:A Christmas Smooch! In A Christmas Smooch, with the help from the Christmas Chicken, Leroy must coax his unpredictable dog to kiss him (Yuck!!!) three times. This is a delightful story designed to charm all ages. Music activity for children Drumming Around the Campfire Musician-in-residence, Aavajaln, will be in the Magic Carpet Theater to share drumming with all ages. 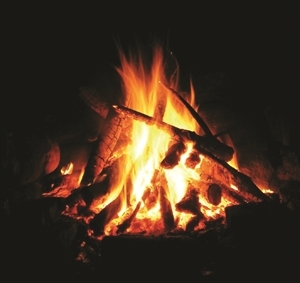 The flickering “campfire” will set the mood, and you set the rhythm. 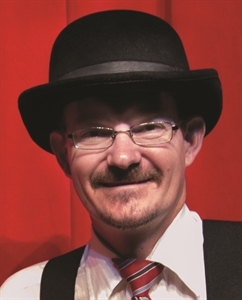 Magic show and music for children Art Start Wonderful Wednesday with Kyle Groves’ It’s Impossible Magic Show Kids love laughing in this fun and exciting show full of mystery! Kyle’s amazing magic show includes lots of color, music, and audience participation. Galleries Open Arts Center and Buell Children's Museum OPEN for Martin Luther King, Jr. Day. Students receive $1 off admission with valid student ID. Admission $8 Adults, $6 Children, Military, and Seniors 65+. Arts Center Members always free. 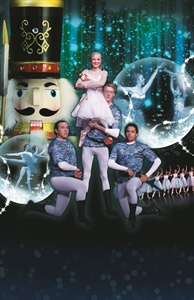 Holiday Show Art Start Wonderful Wednesday with Nutcracker in a Nutshell A holiday tradition of the Tchaikovsky classic performed by the Sangre de Cristo Ballet. Exhibition at the Buell Children's Museum Visit The Way West – Along the Goodnight-Loving Trail at the Buell Children’s Museum. WHOA! Walk into a canyon and recapture the past. There is still a place for adventure, creativity, stories, and old fashioned fun. Art activity for children 3Doodler-iffic Draw using the 3Dooler which extrudes heated plastic that cools almost instantly into a solid, stable structure. Where: Buell Children’s Museum When: 12 - 2 PM Admission $8 Adults, $6 Children, Military and Seniors 65+. Art Exhibit Sept 23 - Nov 12 | Allan McConnell is a local photographer who received a formal photographic education in photojournalism from the University of Wyoming in 1962. Children's music activity. Drumming Around the Campfire Musician-in-residence, Aavajaln, will be in the Magic Carpet Theater to share drumming with all ages. The flickering “campfire” will set the mood, and you set the rhythm. Art exhibition The wide open landscapes, dramatic skies and looming mountains of the western United States have enthralled European-American artists since they started moving west in the 19th century. Art Exhibit Fran Dodd considers color to be her passion. These colors seen in nature will be enhanced or invented entirely! Fran looks for small fragments of beauty in the landscape - those moments that take the breath away in awe and wonder. 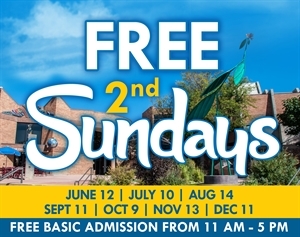 Free Day Free admission to the galleries and Buell Children's Museum! Made possible by a friend of the Arts Center. 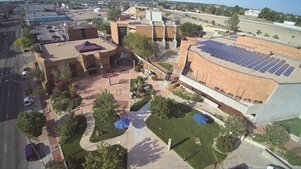 Landscape Exhibition This exhibit focuses on Pueblo artist Chapman’s works highlighting the beauty of the Colorado landscape. Admission $8 Adults, $6 Children, Military, and Seniors 65+. Arts Center Members always free. Art Exhibit Rembrandt Van Rijn, widely recognized as the greatest practitioner of the etching technique in the history of art, created a body of work unparalleled in richness and beauty. Rembrandt repeatedly chose beggars as the subject for his etchings. Free Day Free admission made possible in honor of Dale Tursi. Private ranch homes welcome guests after a long day and a fantastic meal - many times featuring Chico Basin Ranch raised beef, and enjoying a talk of the day's activities with the ranch staff bring your Colorado Experience to a pleasant end.